Its that time again! 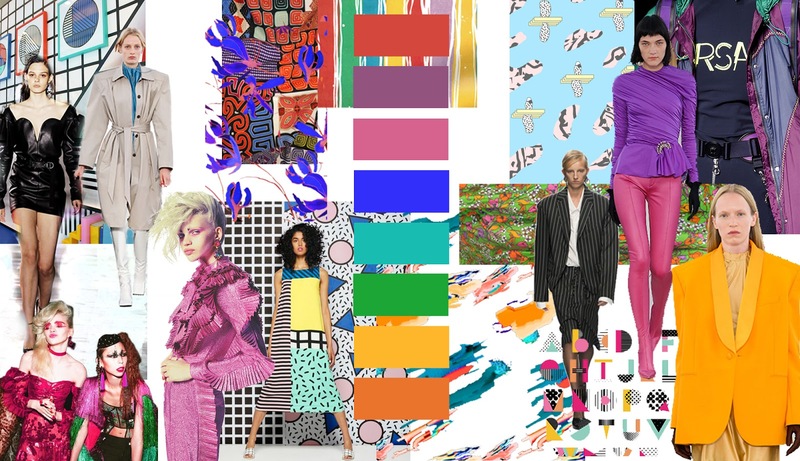 Time to get your most colourful clothes from the back of your wardrobe, get that power-suit and shoulder-pad anything out. The eighties was primarily a time of distress which impacted the fashion industry in different ways. Margaret Thatcher became prime minister which brought about the power dressing to show dominance. Being the first woman prime minister in the UK, she had to state her dominance. She was most famous for her bold blue suit. Her radicalness nonetheless created negative impact on the British Culture with an outbreak of protests. This lead to the rebelled look of the 80s. Flash forward to today and we have distress. Trump became President and here in the UK we got Brexit. Everything just seems unsure. There's an uncertainty for the female rights, LGBTQ community and international safety. Dior shows this through their Spring/Summer 2017 collection featuring t-shirts with slogans "We should all be feminists" and "DioRevolution". Designer brands are noticing the current zeitgeist and almost embracing it in their collections. Fashion is essentially politics. Gucci & Balenciaga are some of the high end brands embracing the 80s trend in colour and print for their S/S17 collections. Gucci used bold yellow prints and volume where Balenciaga focused on bold block colours and lime green prints. The trend is not only showcased through digital but also print. The Fashion Issue suggest highstreet pieces where Nylon Magazine showcase 80s inspired makeup and hair. Generation X and even Y have grown up during the 80s therefore would relate more to the trend. However the millennials aren't as familiar with the trend in which print offers tips for styling. The trend is a very confident one therefore hightstreet brands are making it more accessible to a wider audience. Zara for example offers tropical 80s inspired t-shirts which makes the look more casual. Their trafaluc collection also offers crop tops with glamazon style prints. The trend nonetheless is more likely to be a fad than a classic. The zeitgeist is likely to turn more positive which would effect the fashion industry. Its also a bold-statement kind of look which not everyone is into. People tend to settle for more casual statements.